My friends and I love to have our reunion during Ramadhan - hence the concept of Iftar Sesama has been the theme for our breaking fast sessions for so many years. And when Bangi Golf Resort (BGR) introduces its theme for the year as Iftar Sesama, it immediately brings me back to the sweet memories during the gatherings. As this is my very first year reviewing the ramadhan buffet of BGR, I am pleased to hear that BGR has its own farm from which the fresh ingredients are from. The concept of "Farm in the City" guarantees fresh ingredients for all the dishes. Why Iftar Sesama @ Bangi Golf Resort? 1) Sharing of pahala BGR will be contributing 1% of the total profits throughout the month of Ramadhan to Islamic Relief Malaysia (IRM) as this contribution will be used to assisting the humanitarian works of IRM. 2) Feast accordingly with zero wastage BGR, in collaboration with Food Aid Foundation, will be saving the leftovers and distributing them to the needy to ensure there will be zero wastage. It was reported in 2018, we Malaysians wasted almost 4,000 metric tans of food daily. So, with this collaboration, more food will be saved and many people will be able to have their daily meals. For those who wish to contribute to needy ones, BGR in collaboration with F8Buzz.com is organizing Kotak Sumbangan Iftar Sesama where the public could contribute food and clothing items for the needy ones. 3) Worth Your RM In the current world economic situation, every single cent spent have to be worthy of its cause. So, I would say RM59 nett (adult) and RM29 (child) for a feast of 200 different dishes would be very reasonable and affordable too. Remember that the money spent will be assisting the underprivileged too. 4) Worship BGR has opened up a larger surau to accommodate a larger crowd without compromising the comfort of worship. And now the parking area has around 800 free parking slots waiting for all of us! So, you want to plan your Iftar Sesama with your loved ones here? One of the most recommended for ramadahan buffet. The price among the cheapest in town and the menu offered us more than 200 different foods. I love their nasi kerabu and sous vide eggs. Ok! Different style of writing for the BGR Iftar. Kita sampai dah hafal dah isi kandungan. Hahaha. Nanti ajak sis datnag makan sini ye. Quite interesting nak cuba sebab belum pernah datang. I memang dekat sangat dah kat sini. Next time bulan puasa boleh la pergi try. Harga pun berpatutuan dan menu pun bermacam jenis jugak. Mesti puas makan kat sini. 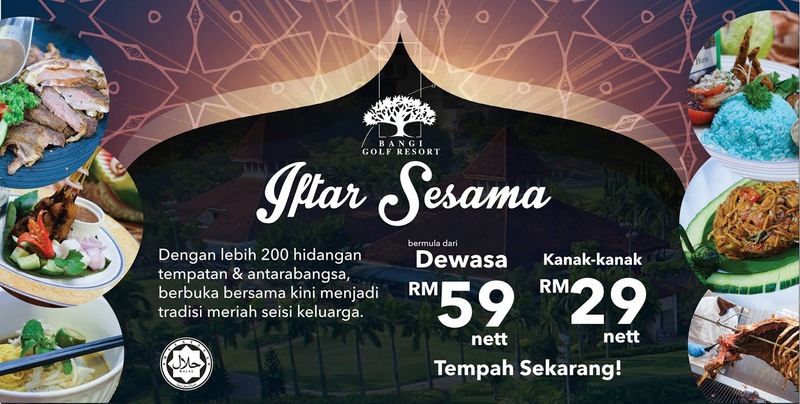 Bangi Golf Resort memang antara pilihan best kalau bulan puasa. Makanan sedap, banyak pilihan pulak tu. Parking space luas, dewan makan pun luas. Yang penting harga sangatlah berbaloi! 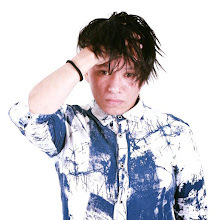 Hope dapt jejak kesana. Teringin nak cuba pelbagai menu sedap ni. Geram tengok. Banyak sgt pilihan ni. Murah lah pakej.,berbaloi untuk datang. Dah a few of my friends recommend BGR juga, value for money they said. Bagus ada inisiatif zero wastage tu, sedih lah kalau tengok food go to waste camtu ja. Good job BGR! Bestkan Rawlins makan kat sjni .Banyak pilihan makanan yang ada. Tahun ni makan nasi ayam. Sedap kan. Mimi pun sempat hai hai je dengan Rawlins. Memang best dapat berbuka puasa di BGR nie. Pilihan makanan sangat pelbagai dan sedap. Macam-macam ada. Kenyang dibuatnya. Ada durian pulak tu. Sedap betul !! Harga pon berpatutan. MR dengan MH pun seronok nak main inflatable game kat situ! Highly recommended for family and corporate Ramadhan feast at BGR! Syoknya banyak pilihan tempat boleh pilih. Kita jauh. Kalau tak, memang boleh masuk list terjah juga ke sini tau. Sesekali reward tuk diri sendiri kan.
Wah nama tema dia pun Iftar Sesama. Harga pun RM59 sahaja memang berbaloi kan. Boleh lah recommend dekat kawan2 lain juga suurh berbuka kat sini.